There are many reasons why it is useful for students of Indonesian to read literary texts. Reading literature enriches language learning, enables students to examine social issues relevant to Indonesian society, and encourage them to critically reflect on their own society. Literature was an integral part of Indonesian teaching in Australia; however, in recent years it is taught only minimally. Is literature still relevant in Indonesian language teaching? How can we frame it within Indonesian language teaching today? What conceptual approaches can we call on to provide disciplinary depth to our teaching? I will draw on insights from socio-anthropological linguistics and stylistics to help me contextualize and address these questions. 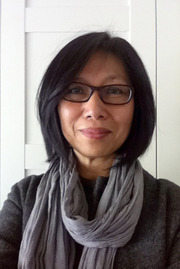 Novi Djenar is Senior Lecturer in Indonesian Studies at the University of Sydney. She is the author of Semantic, Pragmatic and Discourse Perspectives of Preposition Use: A Study of Indonesian Locatives and A Student’s Guide to Indonesian Grammar, co-author of Indonesian Reference Grammar (2nd edition) and Style and Intersubjectivity in Youth Interaction (with M. Ewing and H. Manns, scheduled out 2017), and co-editor of Language and Identity Across Modes of Communication. Her current research interests are in topics related to literary linguistics (stylistics) and Indonesian popular literature.